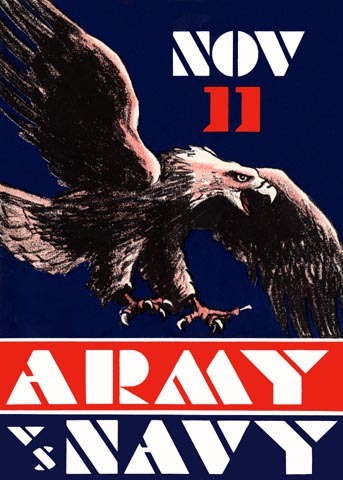 When in 1928 the traditional Army-Navy game went into a two year hiatus due to a dispute over eligibility standards, the "West Coast version," staged between teams from local Army and Navy bases, was about all that was left for football fans to cheer about. When the two service academies settled their differences and resumed their rivalry in 1930, the "other" game continued on, anyway. And one of the nicer features of that West Coast game was a series of terrific program cover illustrations, one of which you see here.